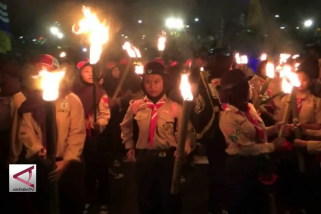 Jakarta (ANTARA) - Some 983 personnel have been deployed by Pamekasan police officers, East Java, to secure Saturday night's 2019 Presidential Cup quarter-final match between Madura United and Persebaya Surabaya. 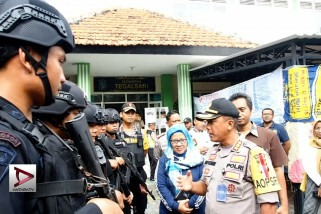 Chief of Operations (Kabag Ops) of Pamekasan Regional Police, Commissioner Jalaluddin, on Saturday afternoon, said the personnel included joint personnel between the Pamekasan Regional Police, Kodim O826 Pamekasan, and Mobile brigade police forces from the East Java Regional Police. "We are deploying a lot of personnel to anticipate all possibilities," Jalal said. Other than inside and outside the stadium, personnel have also been deployed at some points that serve as parking locations for the supporters of both parties. A number of vehicles belonging to the East Java Regional Police and mass decomposing troops were seen standing in the courtyard of the Pamekasan Stadium since morning. According to Jalaluddin, at least 51 personnel were deployed at the entrance. "Each entrance has 51 personnel, which includes a combination of police and TNI personnel," he said. The Madura United FC match against Persebaya Surabaya is one that has been receiving a lot of attention from the supporters of the two clubs. This is evident from the fact that all the tickets printed by the committee, and as many as 11 thousand extra tickets, were sold out on Friday (5/4). 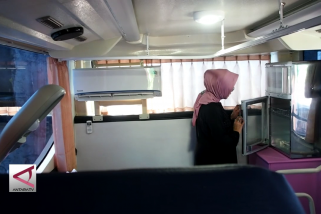 "Therefore, we also asked for assistance from the East Java Regional Police," said operation division chief Jalaluddin. While the supporters of Persebaya Surabaya arrived in Pamekasan on Friday night (5/4), some have been sleeping along the sidewalks of the city of Pamekasan.